Ever since I was a little girl, my mom would constantly tell me, “Eat more fish! It will make you smart!” Not wanting to become a dummy, I begrudgingly ate the piece of steamed fish she would put on my plate. For YEARS, I would eat the “make you smart” fish, and even to this day, I will sometimes say “It will make me smart!” inside my head when one of my friends tries to get me to eat fish. While eating more fish may not guarantee you admission into Yale, studies have shown that fish DOES have many positive health benefits – from cancer and cardiovascular disease prevention to improved brain health and functionality (not to mention potential to help your skin’s appearance.) Well, maybe not specifically the fish, but the omega-3s that are present in fish. That introduces a bit of a problem for me, because omega-3 is most prominently found in “cold water oily fish such as salmon, herring, mackerel, anchovies and sardines” and all of those fishes are very, very fishy tasting. The only times I actually somewhat “enjoy” eating fish is when it doesn’t taste like fish at all. Basically, I’ll only eat fish when it’s cooked in a special Asian way (steamed with soy sauce and scallions) or the fish is super fresh – as in we just caught these suckers this morning. I guess the honest truth is that I really don’t like eating fish. It just tastes so….fishy. As if to justify my desire to NOT eat fish the FDA warns against eating too much fish due to the potential of heavy metal poisoning. For me that’s just another reason for me to find a safe and convenient way to get my omega-3s, preferably without having to actually eat fish. The solution is the NutraSea product line from Ascenta Health. Ascenta Health was established in 2003 with a goal to “sustainably produc[e] supplements that improve health and promote optimal wellness.” Through sourcing through sustainable wild fish species, using recyclable packaging, and donating 1% of its sales to environmental auses, Ascenta is helping people to become healthy while trying to keep the earth healthy. Ascenta has developed three different omega-3 formulas, each of which contain “minimum of 1,500 mg of omega-3 fatty acids per serving, with a minimum of 750 mg EPA and 500 mg DHA, the bio-active forms of omega-3 which are necessary to obtain the health benefits associated with this important fatty acid.” In order to keep the supplements tasting fresh (and not as fish), Ascent utilizes a special purification process and a green tea antioxidant blend, in addition to natural lemon and apple flavors. NutraSea – A balanced EPA/DHA formula which contains 1500 mg of omega-3 fatty acids per serving. Available in lemon flavor. NutraSea+D – A balanced EPA/DHA formula which as 1500 mg of omega-3 fatty acids AND 1000 IU vitamin D per serving. Available in apple flavor. The first thing you’ll want to do when you receive your NutraSea products is to visit their website so you can check the quality of your batch. Ascenta uses the Pure Check program for their NutraSea products, which “guarantees that each bottle has been independently tested and certified for quality, purity and omega-3 content.” I diligently ran the check for the products I received and was very impressed with the amount of information my report had. My NutraSea hp Softgels are from batch 135801, and when I check the report, I can see that this batch had absolutely no lead, cadmium, mercury, or inorganic arsenic. *phew* It really gives a peace of mind knowing that a company takes these types of efforts to create a high quality product and to see that they are so confident that they WANT you to check to see how pure their product is. I wasn’t exactly sure what to do with the NutraSea+D in liquid form – do you take shots of it? Add it to water? Sip it like a martini? Theoretically, I suppose you could do any of those things, although it’s probably easiest to just take the 1 tsp, serving daily with a teaspoon. When you first taste the liquid, you can definitely taste the apple flavor. The liquid seemed on the thicker, oilier side as well, which kind of makes sense given that it’s fish oil. Haha. I would recommend having a cup of juice to chase down the NutraSea because while it tasted fine going down, I think it has a fishy after taste. 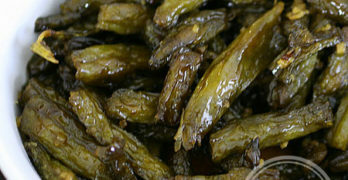 Then again, if you like fish, you probably won’t be as sensitive to the flavor as I was. 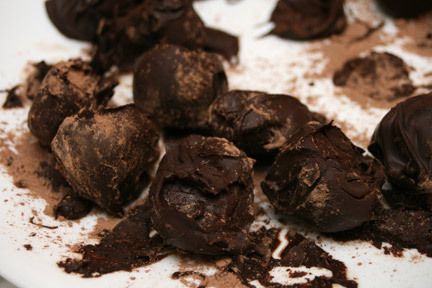 If you’re looking for another fun way to enjoy your Liquid NutraSea, how about making some truffles! That’s right, you can infuse your NutraSea into foods, as long as you aren’t cooking the oil in the food, which will degrade the quality. In addition to truffles, you can add NutraSea to dressings, yogurts and smoothies. Even though you can’t see the fish oil in the truffle, I’m so proud of myself for making these, here are a couple of pics. 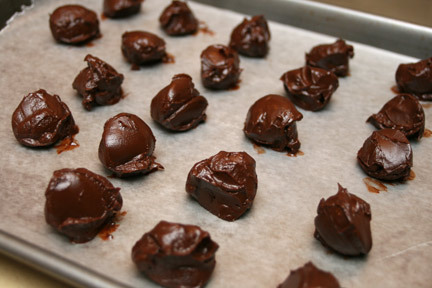 If my mom wanted me to get smarter from omega-3s, she would definitely had a lot more success by trying to feed me these omega-3 infused truffles instead of slimy fish. 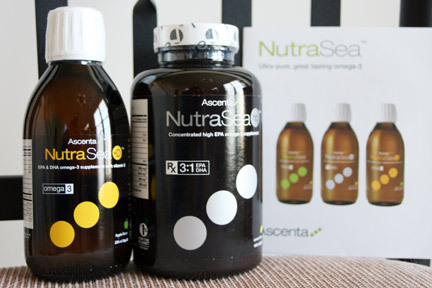 The NutraSea product line from Ascenta Health is a convenient, high quality, and pure way to receive a healthy dose of omega-3 fatty acids. NutraSea is available for purchase at Vitamin Shoppes and Whole Foods nationwide. For more information about NutraSea, including their upcoming NutraSea for Kids and NutraSea for Vegetarians, additional product information, or to find the store nearest you please visit www.ascentahealth.com. What’s Cooking at DD Ascenta Health NutraSea Giveaway! One winner will receive their choice of a NutraSea product! 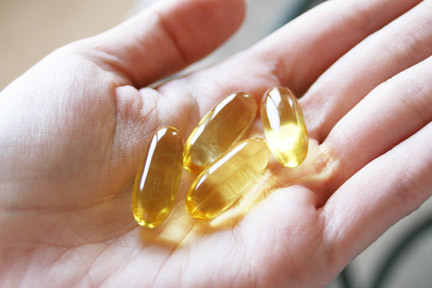 You can choose from NutraSea Balanced EPA & DHA formula, +D, or hp in either liquid or softgel form. Disclaimer: This post consists of my (and/or fellow tester) opinions only. Your experiences may be different. No compensation was given for this review/giveaway. I did receive free NutraSea products from the manufacturer or their representing PR agency to use and test for the purposes of this review. This did not affect the outcome of this review. Also, I am not a medical or health care professional. All statements made in this post are my experiences only and I make no guarantee for how this product will work for you. Please verify any claims made by the manufacturer directly with them. nutrasea+d in soft gels would be great for me! NutraSea hp liquid form – thanks!! I'd like the Nutrasea +D in the softgels. I would choose the NutraSea hp in softgel form! I would like to win the NutraSea+D 500 ml. Nutra Sea would be the best for me. I want to be more cognitive and aware! I would like the NutraSea + D 500mL! That would be great. I wouldn't like the softgels as much. I'd like the NutraSea hp in liquid form. I would like to have the NutraSea + D softgels. Nutrasea +D in the softgels sounds like the right fit for me. Thanks for the giveaway… I would pick the NutraSea / hp softgels. The NutraSea+D softgels look very nice!